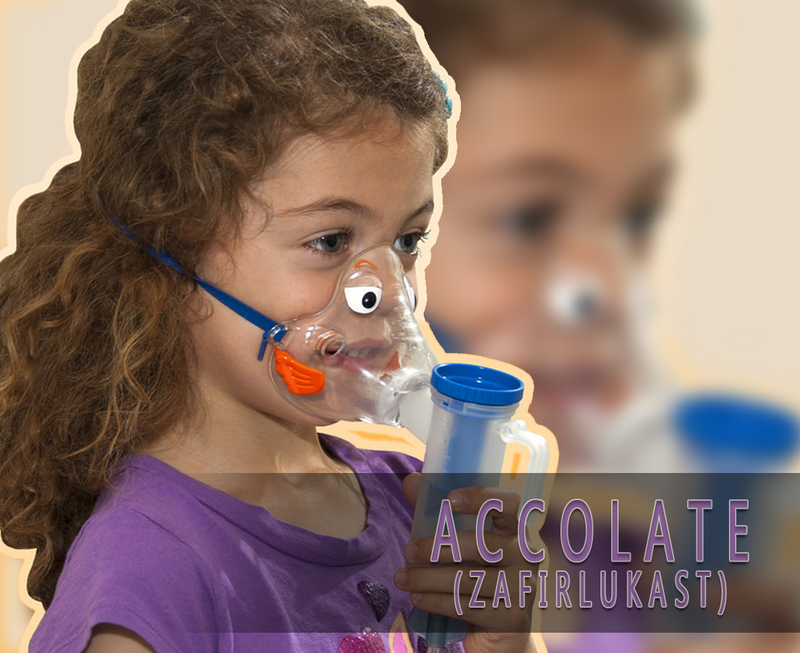 Accolate (Zafirlukast) is for the prophylaxis and chronic treatment of asthma. This is used in adults and children from 5 years and older. This medication helps you to control the symptoms of asthma (wheezing and shortness of breath). By controlling the symptoms, it will help you maintain your normal activities. It will also cut down your time lost from school or work. How does Accolate (Zafirlukast) work? Accolate (Zafirlukast) works by blocking the chemicals produced by the body called leukotrienes. It causes the lining of breathing passages of the lungs to swell. When this treatment is used regularly, it helps to reduce the inflammation in the lining of the airways to make breathing easier. Accolate (Zafirlukast) is an oral LTRA or leukotriene receptor antagonist. It is used for the maintenance cure for asthma. This is frequently used in combination with a long-acting bronchodilator and an inhaled steroid. This medication is approved by the Food and Drug Administration (FDA). You can buy this here at its affordable price. How to use Accolate (Zafirlukast)? The recommended dosage for this treatment depends on your age and condition. Usually, this is taken 2 times a day. This is to be taken by mouth. Take with an empty stomach at least 1 hour before or 2 hours after meals. Use this regularly to get the most benefit from it. Take it at the same time each day. Do not double the dose. What are the side-effects of Accolate (Zafirlukast)? If these side effects continue and worsen, seek for medical attention right away. Consult your doctor first if you are pregnant or planning to get pregnant before taking this medication. Do not use this past the expiration date. Do not share this with others who are experiencing the same condition as yours. If you are allergic to this medicine, avoid using and call your doctor. Inform your doctor if you have any present medications such as vitamins or herbal supplements. Keep this at a dry and clean place. Keep away from the reach of children/pets.